Shane and Drew were a great team, who were motivated to sell our property. We felt they made everything so easy and stress free and we formed a positive relationship right from the start. Both Shane and Drew were transparent in regards to the whole sales process which was important to us . Their level of professionalism was exceptional and they delivered on all that they promised. We'd highly recommend Shane and Drew if you are wanting to sell your property. Thanks team for your great efforts. Shane and Drew from Central Realty were recommended to us by our builder. He said they were unique, not pushy, but kind of perfect and he was absolutely right. From the moment we met them we felt good about working with them. Their sales pitch was compelling and vibrant, strong but not pushy. We had the feeling they backed themselves all the way and didn't need to do the hard sell, their work would do the job for them. To be honest their vibe was so good we just about insisted they list there and then, never mind we weren't in the slightest bit ready! So from there it was an easy decision to list with them when the time came. Even though they weren't the big agency. Their proposal to avoid auction made sense with the current market and our feeling about the kind of buyers that would like our house. Shane and Drew backed the property, were honest about the price they felt they could get, stuck to that recommendation, and delivered all the way. In a market pre-Christmas 2017, where the post election flood had really changed the scene they worked hard, got the right buyers through and generated a competitive three way multi-offer. We were able to choose buyers we knew really loved the house and would enjoy it as much as we had. Leaving the sale of a loved first home feeling good was an awesome outcome. Thank you Shane and Drew, we highly recommend you and would definitely use you again. When the going gets tough, the tough get up early, work a bit harder and make sure they get the very best results for their people. 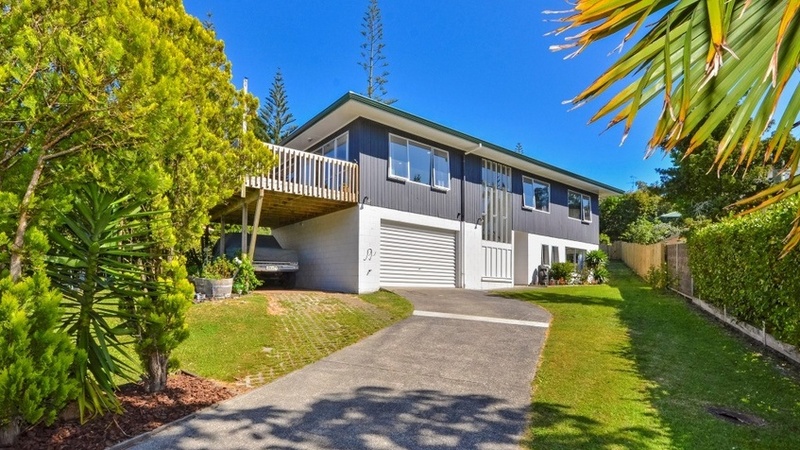 My clients Paul and Tracey took their North Shore home to auction with another agency. It passed in and they were unhappy with the result. They were feeling disheartened and ready to throw in the towel. I told them to hang in there and try listing with me. We talked about the current market conditions and I assured them, good things come to those who wait and persist. “It was challenging. The market changed the moment we listed the house, but Drew was always upbeat and told me not worry, he’d get the job done for us.” says Tracey. They took their home to market for another 90 days and no joy. I convinced them not to give up and stay at it for another 90 days. We were getting close to the end of that time and they told me they’d had enough and were going to pull the “For Sale” sign down and chalk it up as a learning experience. Perhaps, relist after the election. Then a few days later, it sold under a multiple agreement conjunctionally with Harcourt’s (condition on sale of property) vs Barfoots. (with an unconditional back up offer, in which we invoked a cash out clause) and then sold it unconditionally 5 working days later. I’m really happy with this result and my clients are as well. The moral of story here is: don’t give up. Drew Miller and Shane Cootes came highly recommended to us so whilst we were intially going to list with another agent we were so impressed by their professionalism and Sales and Marketing skills that we gave them the opportunity to list and market our house. Within 10 days of the first open homes we had multi offers on the property and were able to conclude a successful sale. We were constantly kept in the loop before and after the open homes. With Drews sales skills and Shanes negotiating skills, they are a great team to work with.